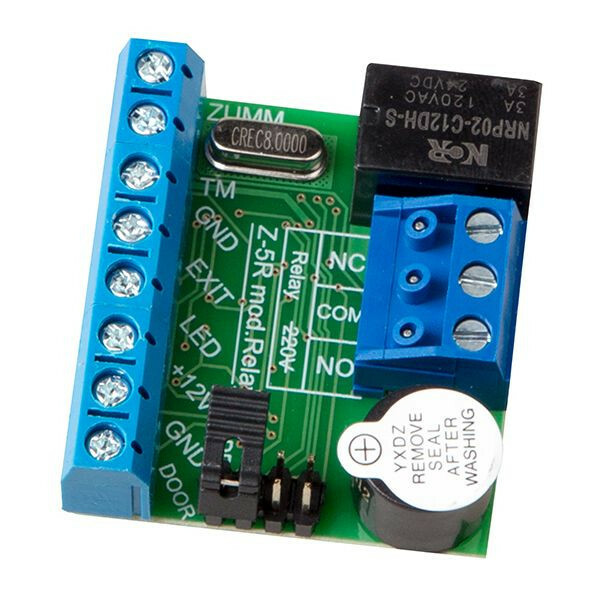 Z-5R Relay is the standalone controller designed for management of the lock using relay. Controller dimensions allows to install it inside the lock as a board, as well as separately in the case. Z-5R Relay operates with iButton DS1990A keys and RFID cards, keyfobs and wristbands. 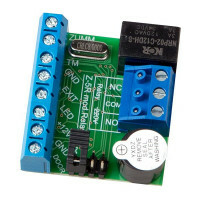 Z-5R Relay controller allows to connect the reader, lock opening button, door opening sensor, relay controlled lock, external LED, external buzzer.